As a Central Florida moving company, we love being so involved in our community. Our state as a whole is a beautiful, unique place to live and we are grateful for the opportunity to help people settle into their homes here. 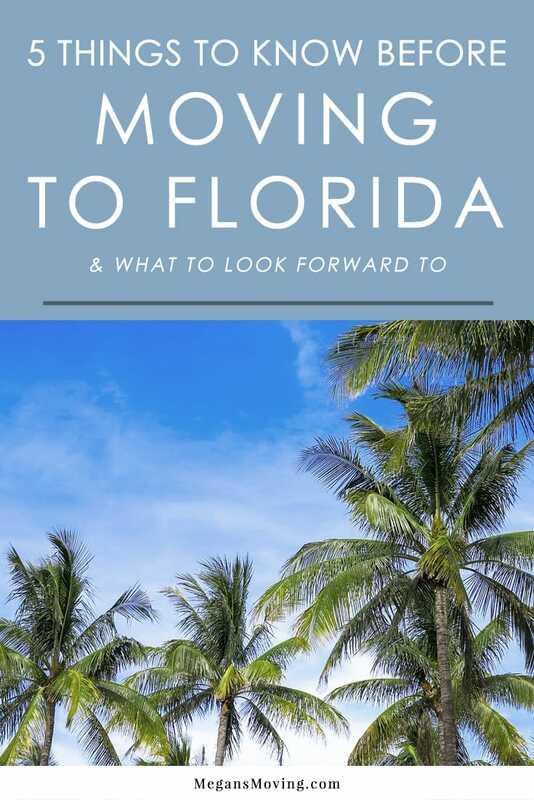 If you are thinking about moving to Florida, here are some things to look forward to, as well as some facts you should know about the Sunshine State to be better prepared for the experience. One of the best things about Florida is that it has attracted people from all over the world to call it home, creating a unique environment that has been influenced by a variety of cultures. From the Seminole Tribe (its earliest inhabitants) and the Spanish settlers who established St. Augustine in 1565 (making it the oldest city in the country), to the many different people who have relocated here since from all over the country and the farthest reaches of the world, it is a wonderful cultural melting pot. Florida’s diversity is just one of the many things that makes it so special. Some people think of Florida as only a retirement destination. It is true that many retirees relocate to Florida to take advantage of its warm climate and great tax benefits, but Florida is filled with people of all ages. Our universities attract lots of college students and Orlando was determined by Forbes to be the best city in the country for millennials to purchase a home. Families also love Florida because of all the wonderful opportunities for activities right in their backyard, from the many amazing state parks to the world’s best theme parks. When a lot of people picture Florida, they think everyone is at the beach and Disney World all the time. While those are definitely perks to living in Florida, they aren’t the only things to do. For one, our outdoor activities are abundant. Snorkeling, scuba diving, kayaking, hiking, boating, and fishing are just some of the many activities Floridians take part in. We also have several state parks, aquariums, museums, a thriving arts and entertainment community, and a diverse selection of restaurants and shopping. There is never a shortage of things to do. Florida’s warm climate attracts snowbirds during the winter and millions of tourists every year. While this does make things busier during certain times of the year, it is actually extremely beneficial to residents. Tourism stimulates the economy bringing in billions of dollars every year and creates more jobs for locals every year. So, be thankful for all the tourists! Florida’s climate makes the weather extreme and unpredictable at times. While we are known for our beautiful sunshine, we also get the other side of the coin with heat, severe thunderstorms, and hurricanes. We know how to be prepared for it, though. As long as you brush up on your knowledge of the weather, stay alert, and prepare yourself, it’s doesn’t have to be a big deterrent from all this wonderful state has to offer.